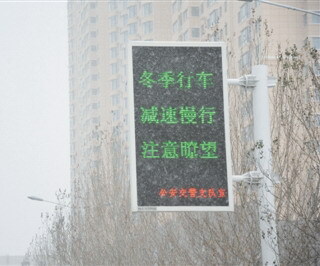 verypixel LED Traffic Sign - Shenzhen Verypixel Optoelectronics Co., Ltd.
Why VERYPIXEL traffic sign is professional? >> Ultra-high brightness design) and IP65 enable it can be seen even in the poor visibility, rain and fog weather. >> Built-in wireless data transmission module, to achieve the GPRS/3G remote contral. ¡ñ Built-in lightning protection devices. >> The photosensitive control system can automatically adjust the display brightness according to the changes in sunlight, energy saving, greatly reduce your operating costs. 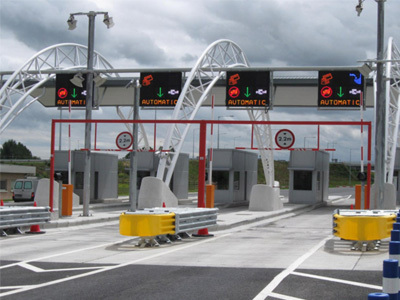 Solar Powered: VERYPIXEL'-friendly, low maintaining costs advantages for an ever-growing domain of traffic safety. Most of our systems adopt solar power, LED technology and wireless communication, which simplify the installation methods, reduce maintenance costs that will benefit you profoundly in terms of time, labor and utility charges. Viewing Angle: The visual requirements of signs set the viewing angle of the LEDs. 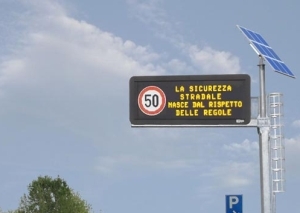 Signs installed on highways, for example, require bright LEDs with a narrow beam width, but in cities with a requirement for short distance legibility a wide beam width LED is usually required. Durability: Outdoor message signs must typically operate for over ten years in a harsh, corrosive, and exposed working environment. 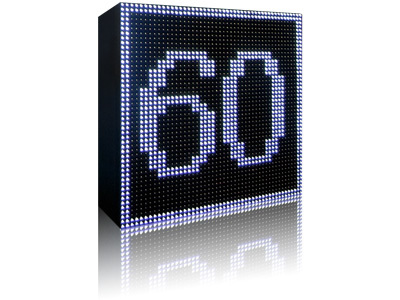 VERYPIXEL LED traffic sign use new 15 and 30 degree viewing angle lamps. The maximum LED junction temperature limit of +130¡æ enables high temperature operation in bright sunlight conditions. The lamp encapsulation epoxy uses UV inhibitors to reduce the bad effects from long term exposure to direct sunlight. Wide applications: Applications for LED lamps in road equipment and signage include: Traffic management; Traffic signals, Pedestrian.